Indian cars have to start drinking alcohol!!! 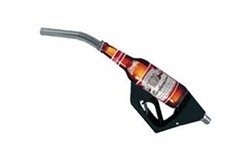 Well… not our regular beer but bioethanol. According to CIA factbook, India is 5th largest Oil consumer and 6th largest in oil imports with both figures around 3 million barrels consumed per day. With its relatively low per capita income I think that is alarming level of consumption and import. We definitely have to start thinking about alternative methods to run our cars and save our currency for better use. One such method is bioethanol fuel. Let me just start off by defining what exactly is ethanol fuel and how few countries have perfected the art. Bioethanol, unlike petroleum, is a form of renewable energy that can be produced from agricultural feedstock. It can be made from very common crops such as sugar cane, potato, manioc and maize. Brazil is one of the countries who are big on this kind of fuel. Brazil’s 30-year-old ethanol fuel program is based on the most efficient agricultural technology for sugarcane cultivation in the world uses modern equipment and cheap sugar cane as feedstock, the residual cane-waste. The Brazilian car manufacturing industry also responded to this by developing flexible-fuel vehicles that can run on any proportion of gasoline and ethanol. Introduced in the market in 2003, flex vehicles have are now a record 92.3% share of all new cars and light vehicle sales for 2009. What is incredible is that there are no longer any light vehicles in Brazil running on pure gasoline!!! Brazil imports around 700 bbls/day that is almost 4 times lower than India’s imports! By blending petrol with 10 per cent biofuel, 80 million litres of petrol could be saved annually in India, says a report by the Institute of Defence Studies and Analyses. Bioethanol will not only supplement the fuel availability in the country, but also provide better returns for sugarcane farmer, who have been in dire straits of late. By reducing imports of petrol the prices will come down so we will enjoy cheaper and cleaner fuel. Ethanol is high in octane that means cars will perform better. Do we have the capability to do what Brazil did? Brazil’s ethanol comes from Sugarcane. No surprises because it is the leading producer of Sugarcane in the world with 650 tonnes/year. India is second largest producer with 350 tonnes/year, so we definitely have the capability even though scaling it to the level Brazil did might be hard. India is also the fourth largest producer of ethanol in the world. Ethanol production in India has an advantage as its production could potentially leave sugar prices unaffected. Another thing to worry about is Sugarcane reserves might start depleting fast if we make ethanol out of it. An alternative to that is ethanol derived by sugarcane molasses, which is a by-product in the conversion of sugarcane to sugar. Therefore, ethanol does not compromise on the food security front. I also think, it can be an opportunity in the sense that you should improve the efficiency of producing more sugarcane and make agricultural practices better for a higher yield. Infact that is exactly what Brazil did when they faced this challenge. Ravi Prakash is currently pursuing MBA at Tulane University after having worked with companies like Microsoft and HCL. His interests include Photography, cooking and following technology trends. Agricultural industry itself is a big consumer of fossil fuels. Fertilizers, farm activities, logistics and ethanol production process itself consumes a great amount of energy, which adds to the hidden consumptions and imports. The conclusion that more ethanol = less imports, needs a better, more thorough evaluation. Perhaps we should also take cognizance of the disadvantages. Compared to Brazil, India has lesser agricultural land available per capita – by a factor of circa 0.055. India has been battling with food inflation costs, which from a policy formation viewpoint point to hoarding and production woes. We cant afford to supplant cereal crops with cash crops in a country where a debt ridden farmer adds to the stats every 32 minutes. Under such scenarios it would be hard for the government to justify any planning for bioethanol fuel (I suspect for another 10 years atleast). Although I personally am a proponent of E10s to E85s. Cheers! What delights me over here is that India has at least graduated to the Euro IV emission norms, in a bid to move forward towards cleaner fuel. But, at the same time, there is a disappointment too – just prior to the global slowdown, when the crude oil prices had surged significantly, there was urgency and impetus for the major fuel-consuming nations to come out with hybrid and/or alternate fuel models. However, with the great recession knocking down the over-exuberance and speculative froth in the crude oil prices, this exhaustive fuel has once again reached sombre levels and are quoting at much affordable price range. As they say, “Need is the Mother of all Innovation” – thus, until the crude oil prices again slip out of hands from the major economies; innovation and further encouragement to produce biofuels remains sub-dued (even on cost-benefit analysis with the crude oil). This doesn’t augur too well for the biofuel industry. However I would like to add data which I know. c) That does not mean we are importing the remaining 2.3 million barrels. We are importing more than that and after refining reexporting many items. It is actually a favorable situation. We import crude oil, refine, process it and export value added items thereby reducing net oil bill. However for consumption point of view we can say we are importing the balance 2.3 million barrels. Now coming to bio fuels. a) Normal fules people consume in daily life comprise of diesel, petrol, kerosine, jet fuel. b) Now coming to bio fuels, diesel can be replaced with bio diesel. (At present govt is asking ppl to blend bio diesel with diesel. d) South Africa produces 75% of its ethonol using sweet potato. e) Brazilian companies have made an agreement with Sudan govt to convert millions of hectares of idle land for sugar cane production. In fact in 5 yrs time Sudan will be the largest bio ethonol producer over taking Brazil. f) In India Andhra has taken a lead in Bio diesel with a company called Southern Online Bio which established a big plant. g) Railways which is the largest consumer of diesel has invited producers to sell any quantity of bio diesel to it. But industry feels they get attractive prices by exporting the biodiesel. d) Many busses of APSRTC run on bio diesel. a) Arguments against bio diesel. Some ppl argue that if bio diesel production is encouraged, it will cause land used for food grain will be diverted to bio fuel crops which decreases food security of the country. b) As mentioned in the article above, molasses is one raw material for bio ethonol but molasses is a restricted item under state governments and state govts get more money if the molasses is made to local alchohol for sale to locals. In fact its a ugly situation. If molasses is takenout of alchohol making we have two benifits One is people will be saved from alchoholic addiction coz of scarsity and we get bio fuel. c) Our Biodiesel industry has metured but not bio ethonol. We need large processing units and supply of raw materials if bio ethonol is to develop in India. d) Govts are afraid that if bio fuels establish themselves, the land will be diverted to them reducing food grain output. Food security is a sensitive issue of political implications. So politicians will not dare to look ahead. d) Ravi has mentioned in article above that we have abundent sugar cane production to support bio ethonol. Its wrong. Our sugarcane out put is just enough to cover our sugar requirements. As our country is vast, the output even if varies as is happening now, it will have big impact. For e.g. we imported a million tons of sugar last year. this year our surplus is a million tons. Over 35 million tons of output one million tons may look small but if u consider international trade in sugar, one million tons is a big volume. It makes or break intl suger market. So sugar cane for bio fuels is not suitable for india. 100 liters of bio diesel + 10 liters of glecerine + 1 liter of additive. The glecerine though is an industrial product, due to all the glecerine produced from biodiesel and curde oil refinaries has flooded the market. There are no takers for glecerine. In fact in some countries the govts are charging dumping charges for producing glecerine. It is acting as a dampener to bio diesel industry. However they have found a process to convert all the glecerine into bio ethonol. It is a new development and is going to give boost to bio diesel industry. the 10 liters glecerine as said above will give 10 liters of bio ethonol so the bio diesel industry will be producing 100 liters of bio diesel and 10 liters of bio ethonol per every 100 liters of veg oil. Its a great news. What is the thing stopping Government from allowing more blending ?